You GO Girl! 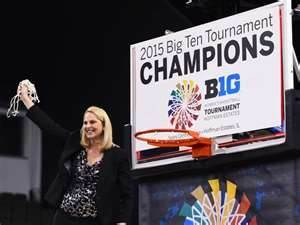 Brenda Frese, Coach of the University of Maryland Women’s Basketball Team, deserves to be the Big Ten Coach of the Year, hands down. This tenured and talented basketball teacher coached the Maryland Women as they won the Big 10 regular season. And For an encore, they defeated Ohio State to win the Big 10 Tournament in this their maiden voyage to Chicago playing in this their new conference. I SAID it’s their first appearance in the Big Ten Conference! You go girls! These girls are going, and have been for a while. Brenda Frese lead the Terps to the 2006 Women’s NCAA Championship. 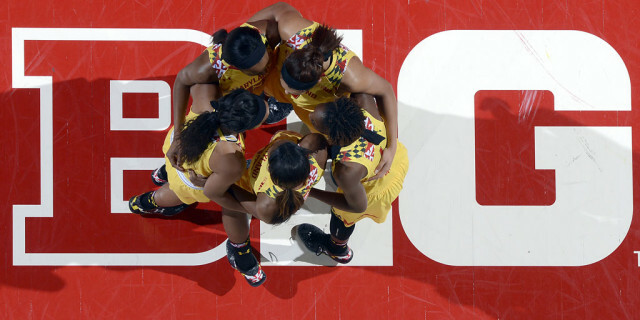 So, if you don’t know, you should know that the University of Maryland women’s basketball team is a prominent program in the history of women’s basketball. The Terrapins are now 30-2, they went undefeated in the Big 10, and they’re a sure No. 1 seed in the 2015 NCAA Women’s Basketball Tournament. The Maryland women will enter the NCAA Tournament with 24 straight wins and their eyes locked on another big run after reaching the Final Four last season. So here’s to women’s basketball, and to” My” Lady Terrapins, the toast of the Terrapin Town. The girls also had one of the longest win streaks in the history of the program. “It’s amazing. Honestly, that wasn’t a goal of ours this season coming in to have one of the longest streaks in program history. But I know the work that everybody puts in. We’re just having fun on this ride, and now we have no choice but to keep the streak going. We’re going to keep working hard. Work hard in practice and in the weight room and just get even tighter and tighter as the season goes on” said the teams leader, Lexie Brown. The phrase “You Go Girl” has gotten into the general genre of American jargon and celebrates a person and anything special to them. It can be used to celebrate a recent accomplishment, or, to encourage someone in an upcoming event, goal or challenge. So let’s celebrate with Coach Frese; let’s celebrate with the Maryland team; let’s celebrate with the Maryland Fans. The girls deserve distinction and have earned our edification. So the lesson is this: there’s a time to weep and a time to rejoice. 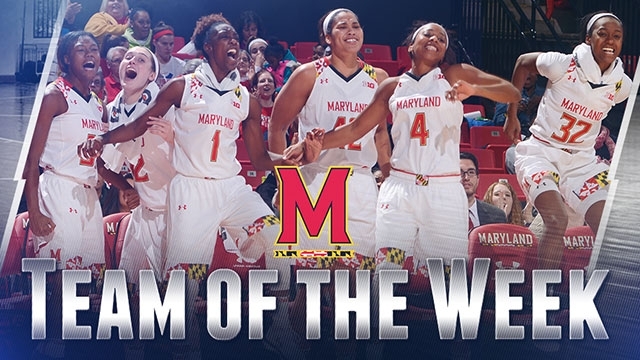 And now is the time to rejoice as we celebrate and elevate the Maryland Women’s Basketball team. And we certainly hope that their best is yet to come.